Few are the books with as immediate an impact and as enduring a legacy as John Hersey’s Hiroshima. First published as an entire issue of The New Yorker in 1946, it was serialized in newspapers the world over and has never gone out of print. By conveying plainly the experiences of six survivors of the 1945 atomic bombing and its aftermath, Hersey brought to light the magnitude of nuclear war. And in his adoption of novelistic techniques, he prefigured the conventions of New Journalism. But how did Hersey—who was not Japanese, not an eyewitness, not a scientist—come to be the first person to communicate the experience to a global audience? 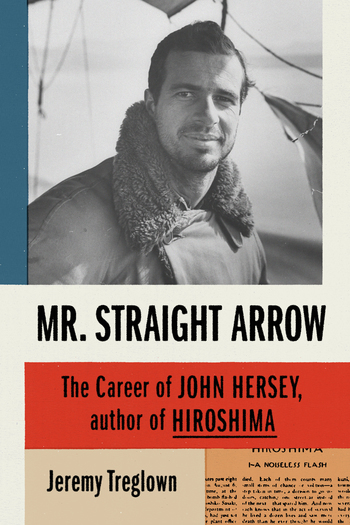 In Mr. Straight Arrow, Jeremy Treglown answers that question and shows that Hiroshima was not an aberration but was emblematic of the author’s lifework. By the time of Hiroshima’s publication, Hersey was already a famed war writer and had won a Pulitzer Prize for Fiction. He continued to publish journalism of immediate and pressing moral concern; his reporting from the Freedom Summer and his exposés of the Detroit riots resonate all too loudly today. But his obsessive doubts over the value of his work never ceased. Mr. Straight Arrow is an intimate, exacting study of the achievements and contradictions of Hersey’s career, which reveals the powers of a writer tirelessly committed to truth and social change. Jeremy Treglown is an award-winning writer and critic. His previous books include Franco’s Crypt (FSG, 2013) and biographies of Roald Dahl, Henry Green, and V. S. Pritchett. A former editor of The Times Literary Supplement, he has taught at Oxford, University College London, Princeton, and the University of Warwick, and has written for The New Yorker, Granta, and The New York Times Book Review. He lives in London.